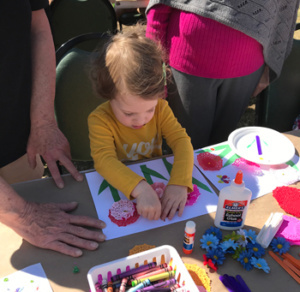 On Tuesday April 9th, 2019, the Nashville Rose Society partnered with Cheekwood Estate & Gardens in their Tuesdays for Tots program. 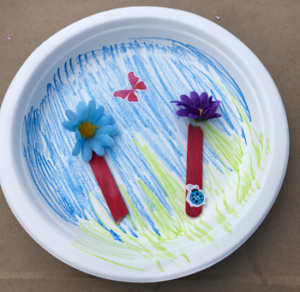 Tuesdays for Tots provides art and garden adventures for toddlers. 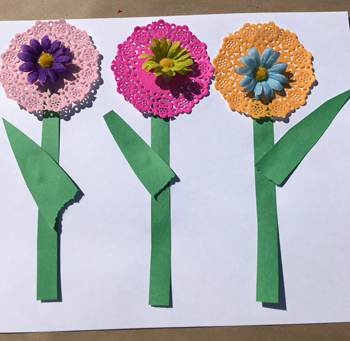 On April 9, NRS, led by Lani Rossmann treated the tots to two activities associated with flowers – “Paper Plate Garden” and “Paper Doily Flowers”. 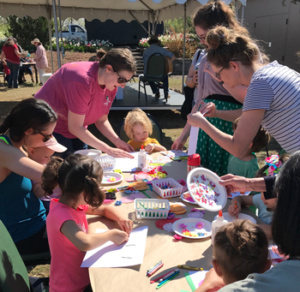 The weather cooperated and the event was a huge success. 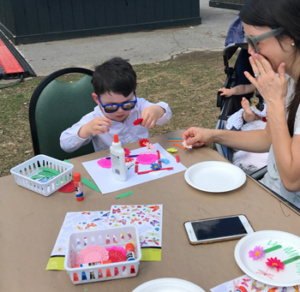 Nearly 150 adults and their tots participated in the activities over the course of 2 hours. 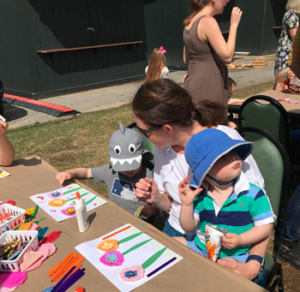 Lani has spearheaded our involvement in this event three times now and, each time, she’s come up with fun and creative rose/flower based activities that have been well received by both Cheekwood and the participating tots.